The Brandywine Treasure Trail Passport is your single ticket to 12 of Wilmington & the Brandywine Valley&apos;s top attractions - all at an incredible savings. You&apos;ll experience rich history, inspiring culture and glorious gardens. You’ll learn the legacy of the famed du Pont family, see works of art by three generations of the Wyeth family, walk in the footsteps of William Penn, and breath in the beauty of thousands of acres of gardens - including America’s Best Botanical Garden, Longwood Gardens, as voted by readers of USA Today. 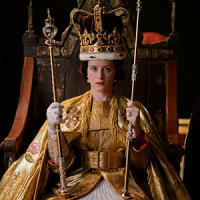 Winterthur Museum, Garden & Library introduces the intriguing exhibition "Costuming THE CROWN." From the dazzling gold of Queen Elizabeth’s coronation robe to the simple sophistication of Princess Margaret’s wedding dress, from the majesty of royal crowns and tiaras to the comfort of clothes worn in private family moments, "Costuming THE CROWN" will feature 40 iconic costumes from the beloved Emmy® award-winning Netflix series, a dramatized history of the reign of Queen Elizabeth II. The Brandywine Treasure Trail Passport represents a savings of $103 per individual Passport and up to a savings of $516 with a family Passport. A family Passport provides one general admission to each of the 12 Brandywine Treasure Trail Passport attractions for two adults and up to three children under the age of 18. Photography © Alex Bailey/Netflix, Inc. The Brandywine Treasure Trail Passport is valid May 25, 2019 through September 2, 2019. Some restrictions may apply, please visit the FAQ page for details. Lost or stolen Passport will not be replaced. All Passports expire on September 2, 2019 regardless of purchase date. No refunds.